Compassion for others and a desire to be fair have been the guiding lights through April Dobson’s eclectic professional life. 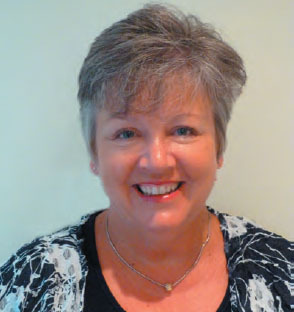 In her 35-year career she has gained qualifications and experience in nursing, policing and housing, all of which have stood her in good stead for her current role as head of dementia innovation at charitable housing organisation the Abbeyfield Society. Her role is strategic rather than hands-on, and involves keeping up with current academic thinking and ensuring services meet the needs of people living with dementia in the charity’s houses and care homes, supported by a panel of dementia advisers and a group of Abbeyfield residents with dementia. ‘My career to date has been incredibly varied but the thread that runs through all of my previous roles is a sense of fairness and compassion for people in general,’ she says. Ms Dobson spent four years as a Metropolitan Police officer from 1980-84 before changing tack to pursue nursing training. However, after training as a nurse at St Luke’s Hospital in Guildford, now the Royal Surrey County Hospital, and qualifying in 1986, she realised nursing was not the direction she wanted her career to take. ‘Although I didn’t pursue nursing, I saw my training as a starting point rather than my ultimate aim and I was aware that this training would stand me in good stead for whatever I did in the future. It was good grounding,’ she says. So she became a medical sales representative before moving into the housing sector. From 2004 Ms Dobson spent 11 years working for a national provider of older people’s housing, culminating in her role as an extra care housing manager specialising in developing plans to support residents with dementia. It was while working here that she realised her passion for dementia care. Ms Dobson says: ‘I developed a real interest in the challenges faced by older people with dementia while working in housing rather than nursing or care, and it became clear to me that a warm, familiar, comfortable and happy place to live is at the heart of what’s valued by older people. The greatest challenge to professionals working with people with dementia is recognising that everyone is different and taking the time to understand what their individual needs, experience and aspirations are, she believes. A key part of Ms Dobson’s role is overseeing the development of a state-of-the-art 62-bed dementia care home in Winnersh, Berkshire. Due to open in May 2016, the home will be circular with sensory gardens, enabling residents to wander safely in the building and grounds. It will also feature memory-stimulating areas, activity rooms for painting and sewing, a cinema, vintage memorabilia and a shop set where residents can recreate the familiarity of everyday life. Ms Dobson’s ultimate dream is for a cure for dementia to be found, but in the meantime she would settle for increased pay and recognition for carers. An end to loneliness in older age also features high on her list of hopes. ‘I would like to see more schemes like Abbeyfield’s “sharing Sundays” and “coping at Christmas”, where older people from local communities are invited into our houses and homes to share lunch, company or simply a cup of tea on a regular basis,’ she says. In five years’ time, Ms Dobson plans to be where she is now, developing more services to help people with dementia.